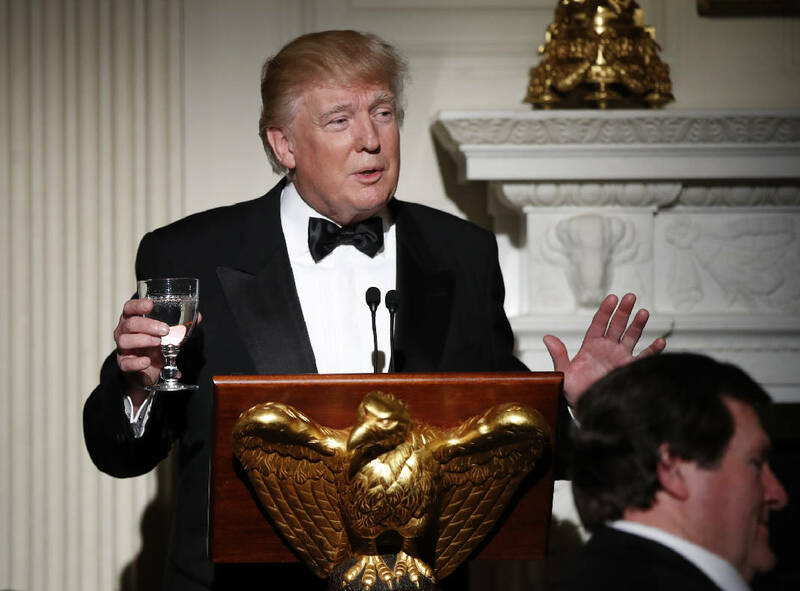 WASHINGTON (AP) - President Donald Trump toasted the nation's governors Sunday night, welcoming state leaders to a black-tie ball at the White House ahead of discussions about his plans to repeal and replace the so-called Obamacare law. Trump welcomed 46 governors and their spouses to the annual Governors' Ball at the White House, the first major social event of his administration. The president congratulated first lady Melania Trump on the elegant candle-lit event in the State Dining Room, telling the audience, "The room, they say, has never looked better, but who knows." "I can say that after four weeks - it's been a lot of fun - but we've accomplished almost everything we've started out to accomplish. The borders are stricter, tighter," Trump said, praising the work of Homeland Security Secretary John Kelly. He added: "We're very happy with the way things are working but, again, we've made a lot of promises over the last two years and many of those promises already are kept so we're very honored by that."